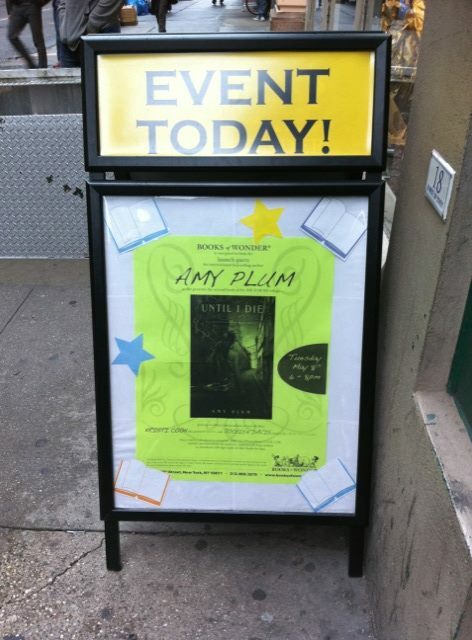 Since most of you out in internet-land weren’t able to fly to New York to attend the party, I’m going to give you a step-by-step account of what it was like to have my very own launch party in one of my favorite cities in the world. …and my head explodes. Clean up mess. Make way to party space at the back of the store where I am received by Books of Wonder staff who say they’ve got everything under control and they just want me to enjoy myself. Pinch my arm to make sure I’m not in a jet lag induced delirium. 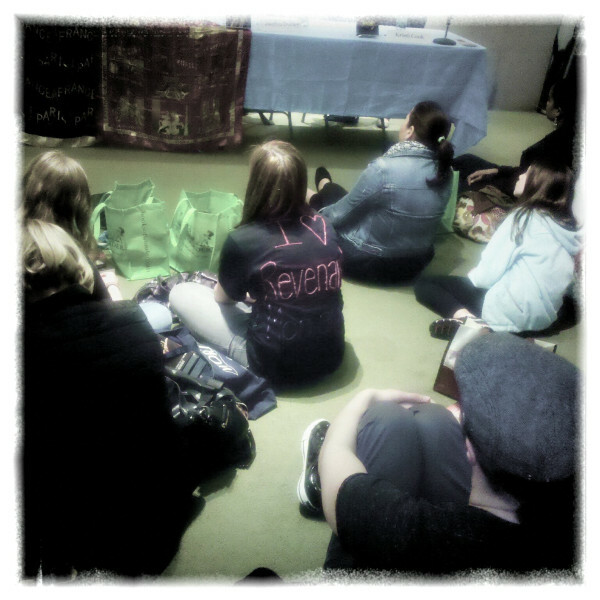 Notice girl sitting on floor and ask if she’s there for my event. She says yes, that she’s been waiting for hours because she wanted to be the first to meet me. Decide I am in Wonderland and peer around to see if I can spot any hookah-smoking caterpillars or levitating grinning cats hanging around. I start getting out my supplies: a mountain of DIE FOR ME and UNTIL I DIE bookmarks, and a pile of my sparkly Eiffel Tower bookmarks. Check to make sure that the 100 bottles of Orangina had been dropped off. And worry a little bit that my friend Lawrence got lost on his way to pick up the macarons. We are now t-minus-30. 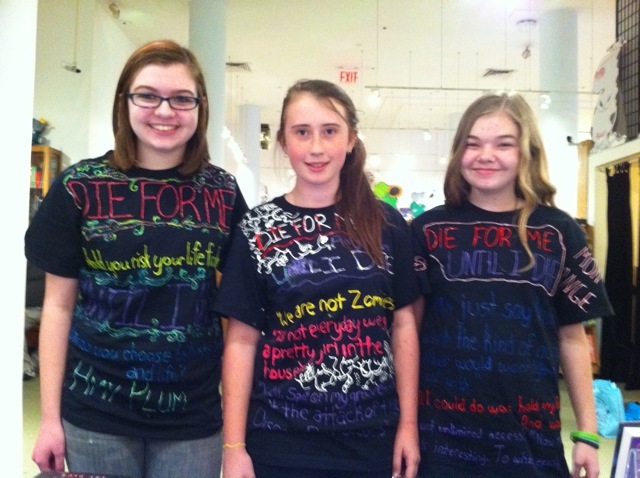 Rachel, Stella & Lauren of Hackensack, NJ! 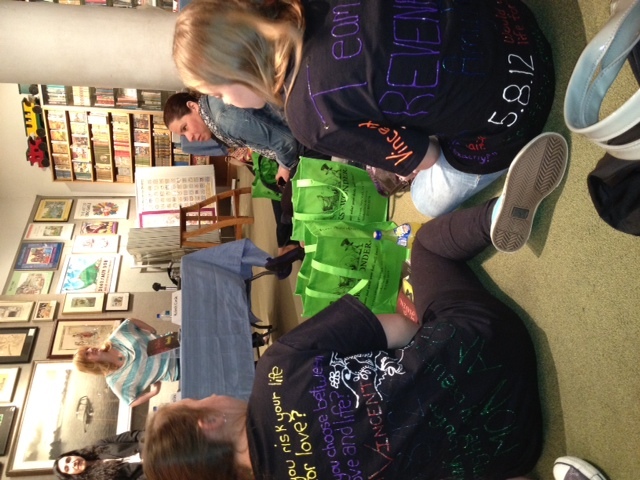 Back view of the winners of my Most-Creative-Readers-Ever contest. More people began to arrive, amongst them some old friends I hadn’t seen for years, people I had worked with, and some new friends: my editor Tara Weikum and my agent Stacey Glick. Authors Natalie Zaman and Michele Jaffe showed up to give their support, and then my Special Guests Jocelyn Davies (who I had never met!) and Kristi Cook (who I met at the RT Con) arrived. But the macarons were still MIA. I had begun to think that my directions (“somewhere on Laguardia Place…I don’t remember the actual address”) might not have been sufficient for my long-suffering friend Lawrence, when he dashed in holding boxes of pastries in his arms. The Books of Wonder staff rushed over, took the boxes, and arranged them next to the mountain of candy I had brought with me from Paris. to find the best macarons for my launch party. A couple of weeks later, she sent me an EXCEL SPREADSHEET with all of the bakeries in NYC that sold macarons, how far they were from Books of Wonder, cost, taste, and overall impressions. I took her advice and chose Mille Feuille. And I swear, they were the best macarons I ever put in my mouth. So a HUGE MERCI to Carli, the Macaron Queen! 6:30 – time for the event. 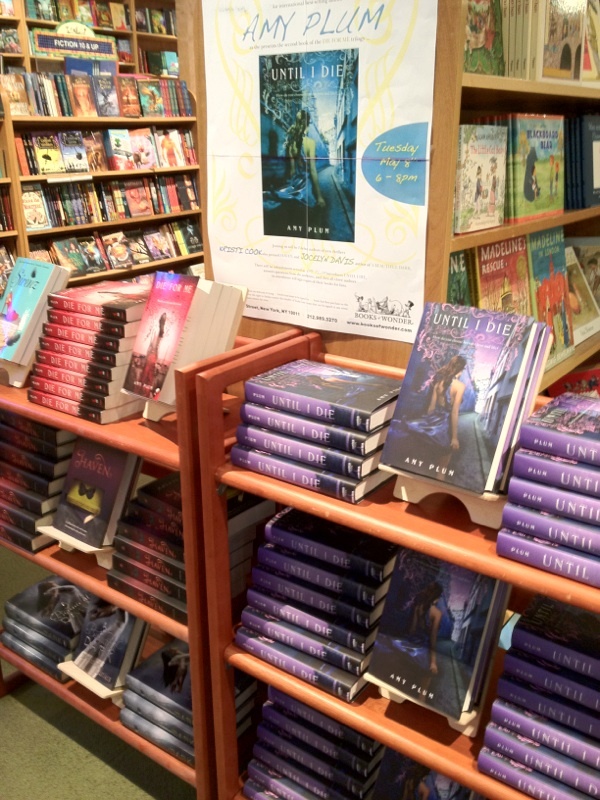 I began by introducing my books and talking about how I got the idea for revenants. Then I did a short reading from UNTIL I DIE (Chapter 6, the graveyard scene where Kate sees someone mysterious in a long fur coat!) 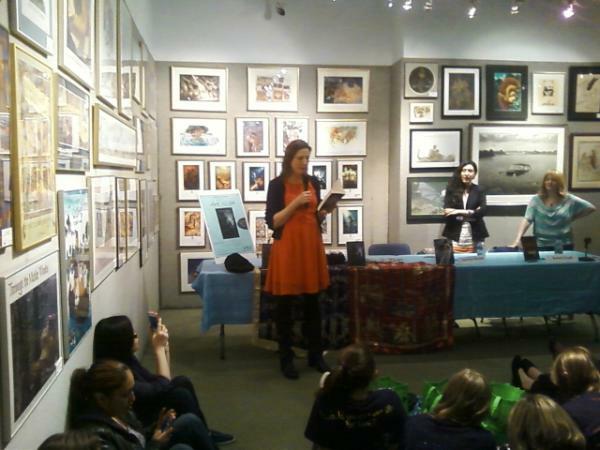 Jocelyn went next, reading from A BEAUTIFUL DARK, and then Kristi (who was losing her voice, so no reading) told us about her inspiration behind HAVEN and MIRAGE. Then came the Q&A, with excellent questions from the audience on subjects such as the importance of location in our books, if we wrote specifically with teenager readers in mind, and who in our books we would marry, die for, or throw off a cliff. 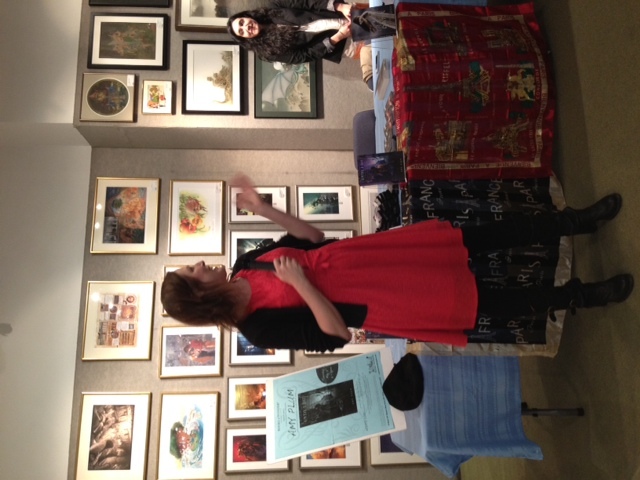 and the real fun began: meeting the readers while signing books. I am so grateful to everyone who turned up for the reading: super-supporting Books of Wonder Staff, old friends and new, and anonymous readers and those who keep in contact on FB and Twitter. Thank you ALL for making my launch party a night I will never forget. Now I wish I was really there! 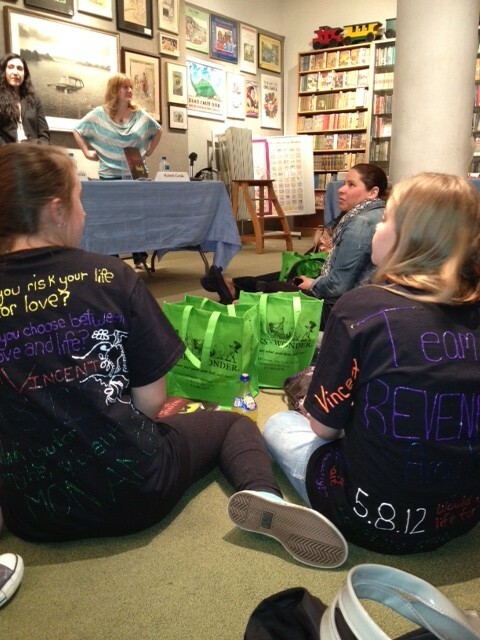 I want to taste those Macarons <3 love those Team Revenants shirts! I think I need a petition for you to go to the Philippines! Looks delicious in every way. Have fun in ‘bama! Oh I hope you had fab time Amy!!! I have finished your book!! and I’m gobsmacked!!! :O When is Before I Die (?) out i so need to get it!!! Hee, glad you like the shirts! 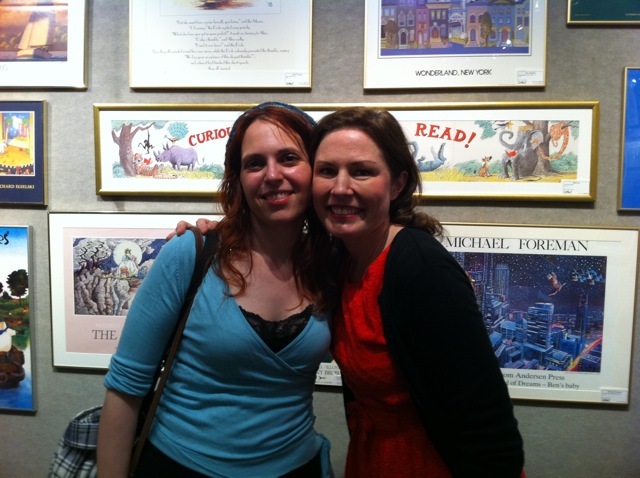 It was so nice meeting you, Amy! 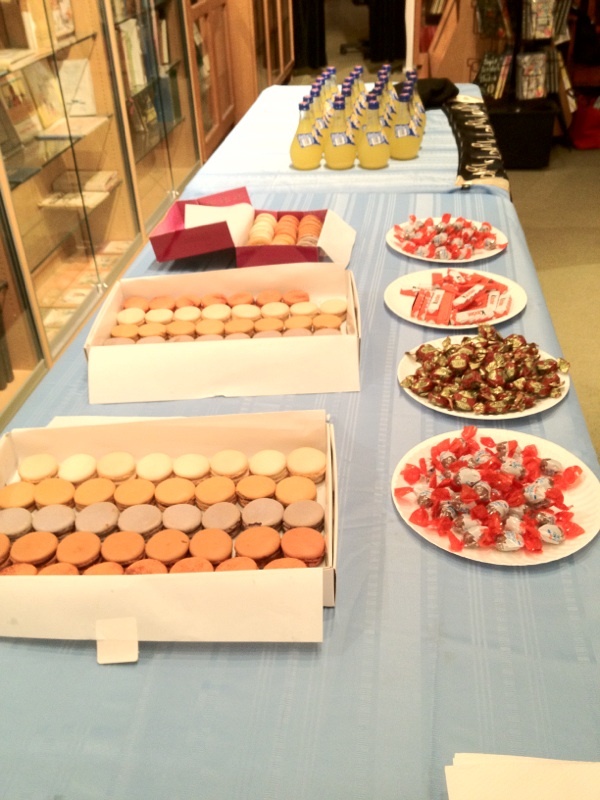 This event was so much fun and the macarons were AMAZING. That event looks even more fun in pictures! What do macarons taste like? They look yummy. Those t-shirts are adorable. Glad you had a great turnout for your launch event! whoa!! what a beautiful evening!!! So sad I live too far from there sniff! 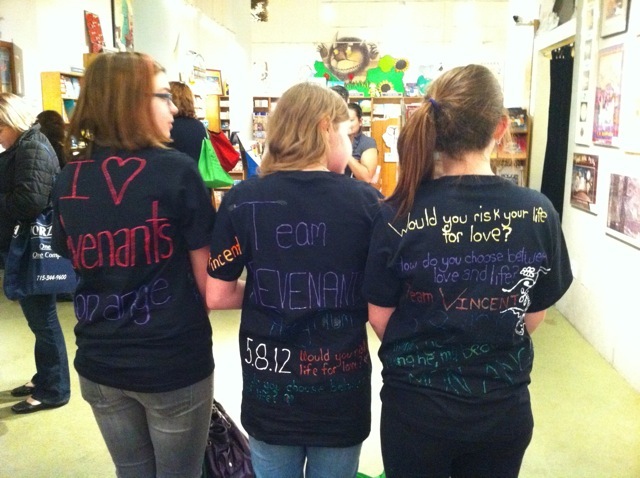 Love the girls’ t-shirts ^______^ Team Revenant all the way! woohoo! !